On the whole KEHTAA HAI DIL BAAR BAAR is a weak fare in all respects. 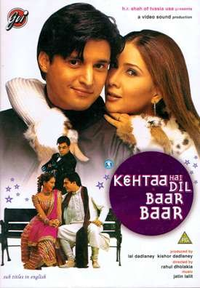 Kehtaa Hai Dil Baar Baar does not make you laugh. Kehtaa Hai Dil Baar Baar does not make you cry. With Kehtaa Hai Dil Baar Baar Paresh Rawal proves again that he is one of India's finest character actors.